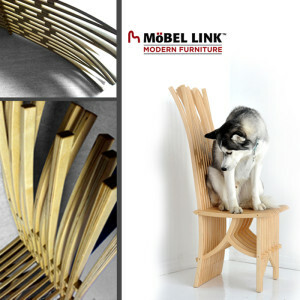 Our Mini Frond Chair is truly a work of art, in addition to being a comfortable and durable piece of furniture. 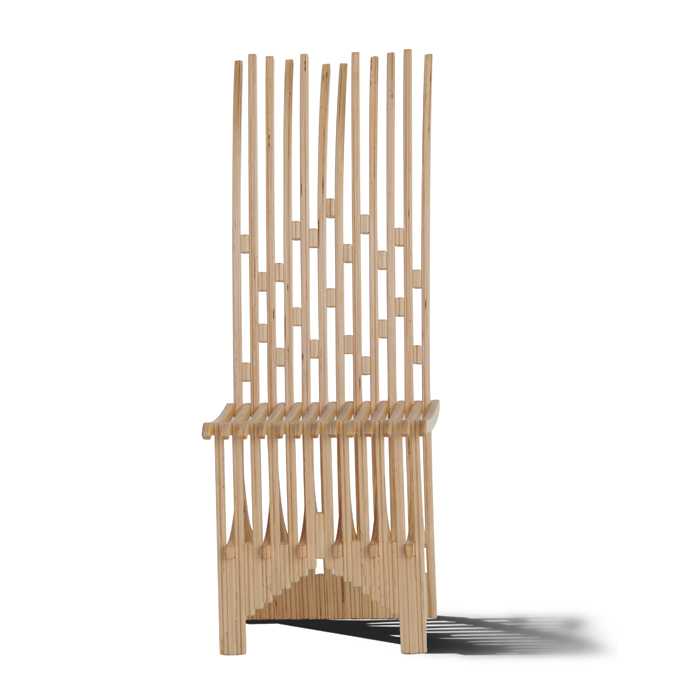 Handcrafted in Detroit, and made from sustainably grown and harvested plywood, the Mini Frond is formaldehyde-free. 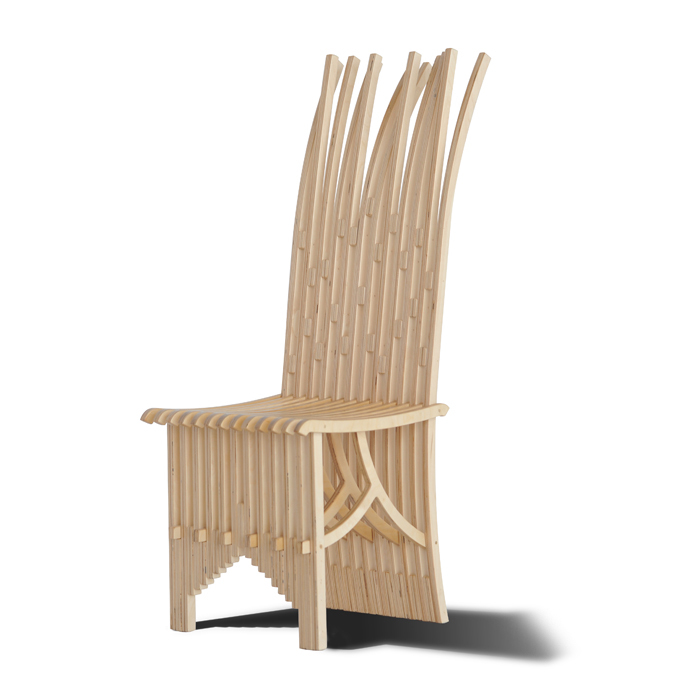 Slightly smaller than the original Frond Chair, it is available in a wide variety of custom colors. Please select the finish you desire from the drop-down menu. 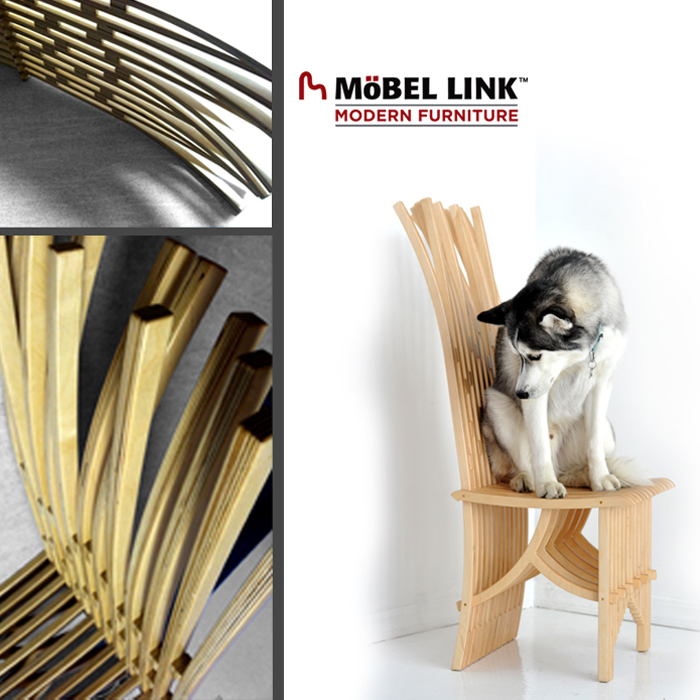 This smaller version of our award winning Frond Chair is a work of art, in addition to being a comfortable and durable piece of furniture. Like the full sized Frond chair, the Mini Frond is sure to garners oohs and ahs from your guests, as they marvel at its stunning lines as well as its comfort. 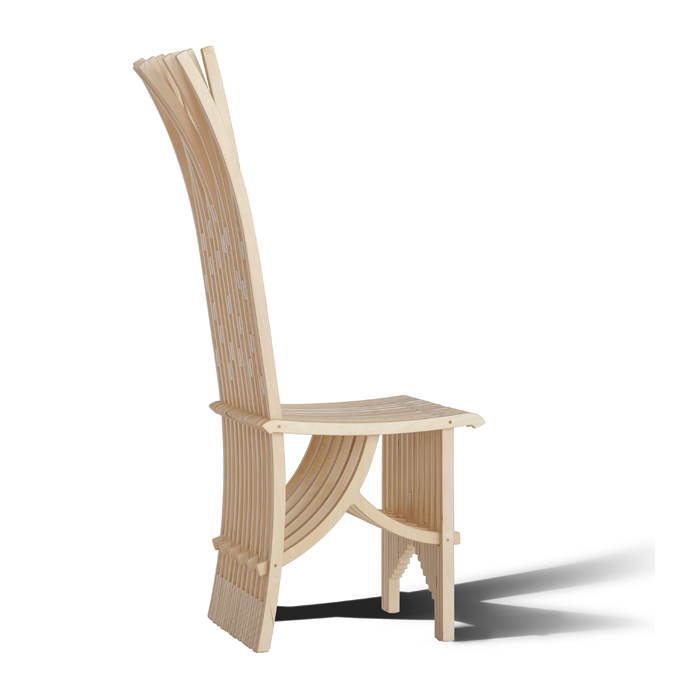 Designed for slightly more compact spaces than the original full-sized Frond Chair, the Mini Frond is also made from sustainably grown and harvested, formaldehyde-free, multi-veneer Baltic birch plywood.